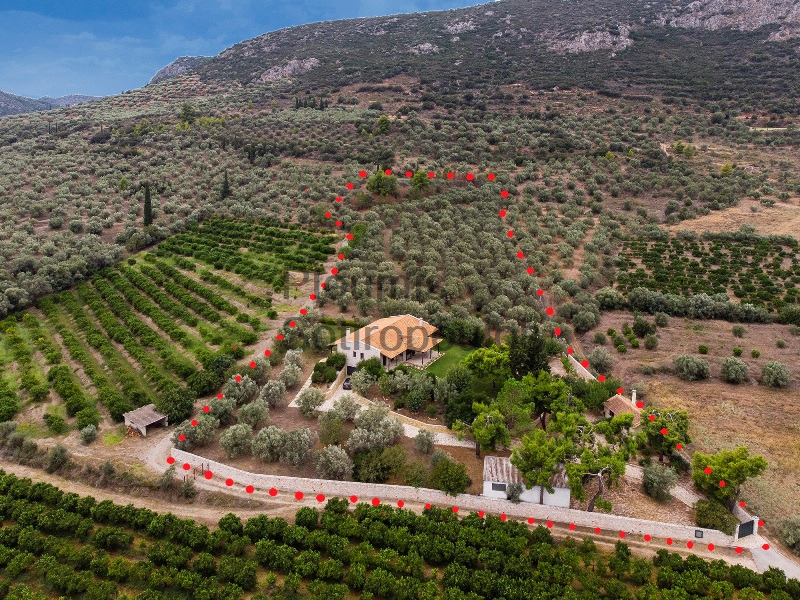 This olive grove of 14309m² is set in a peaceful area and is lush with over 300 mature olive trees producing approximately 400 kilos of premium quality oil each year. The Argolida region is well known for the fertility of its soil and this estate is surrounded by thousands of acres of trees. 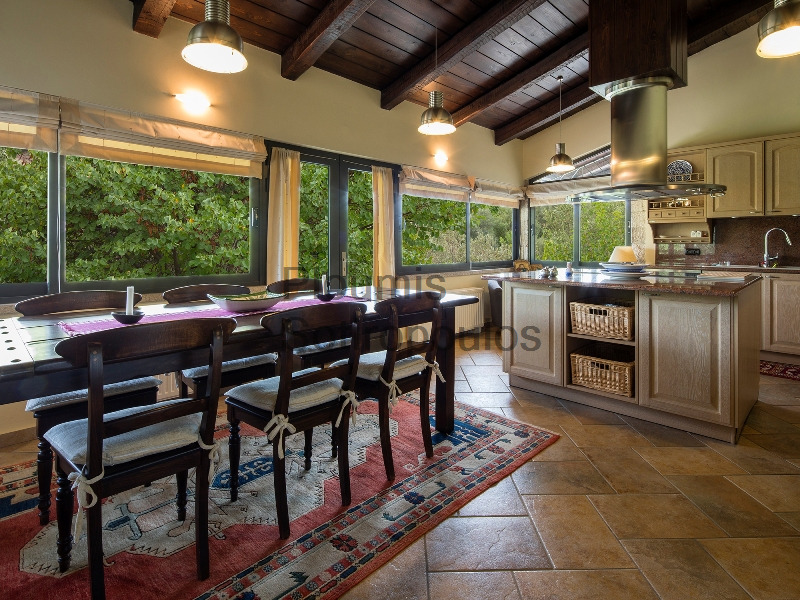 The villa measuring 344m² was built in 2001 and decorated as a very comfortable farmhouse. 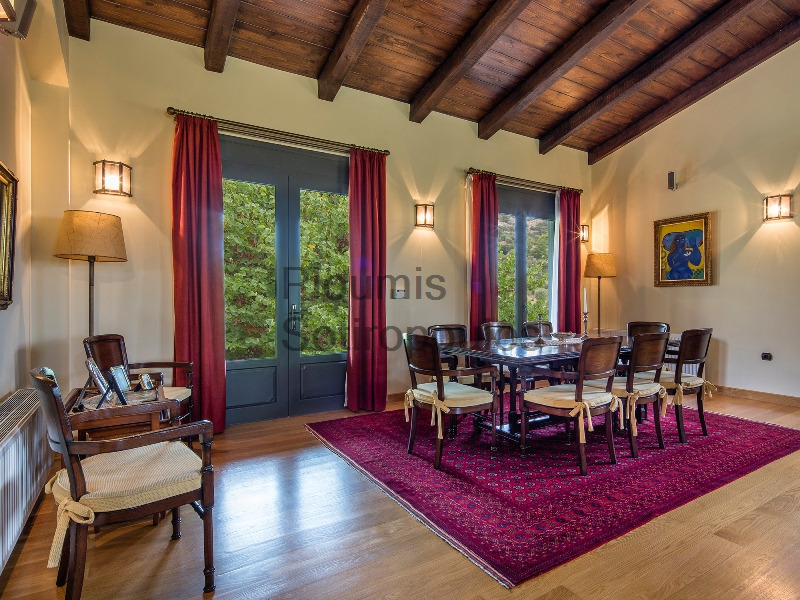 Its main level offers a spacious living room with fireplace and dining room featuring high ceilings with wooden beams, a large fully-equipped kitchen with breakfast area, a master bedroom suite with fireplace, wardrobe and bathroom, and a guest bedroom with ensuite bathroom. A second ground floor level includes a garage, an extra room, storage space and the boiler room. 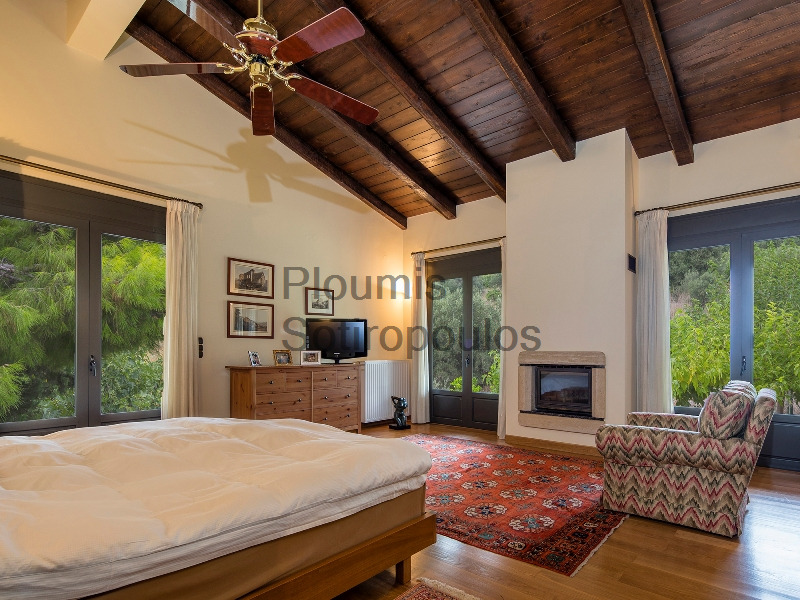 An independent cottage of 43m² is located near the property entrance and features a living room with fireplace and kitchen, a bedroom and a bathroom. It may be used as a guest house or is ideal for a caretaker. 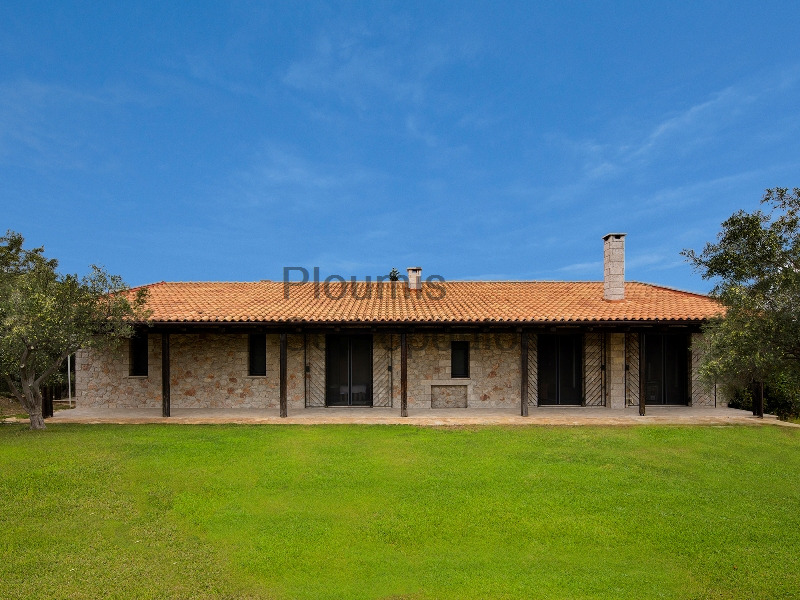 Another structure measuring 67m² is used for processing the olives and storing the oil. 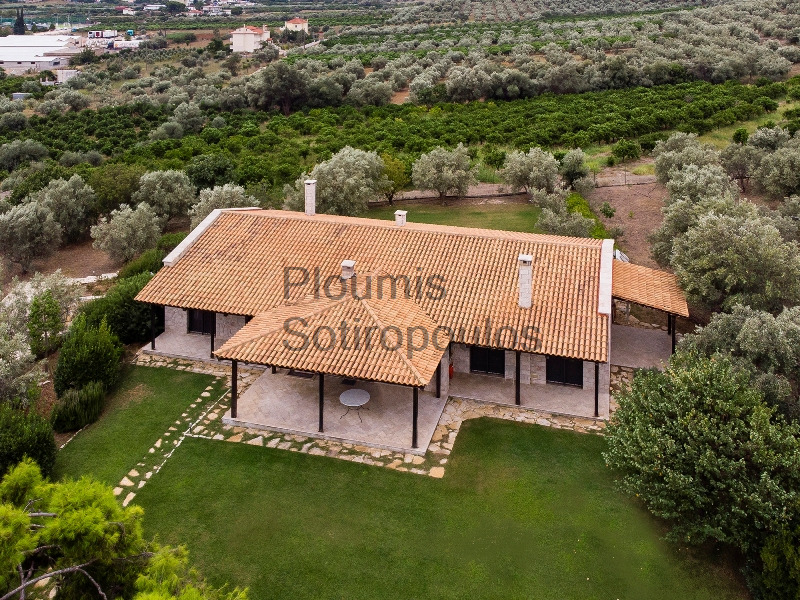 At a distance of 160 kilometers from Athens International Airport and 5 kilometers from the historic city of Nafplion, this property combines tranquillity with a productive agricultural activity in an ideal location with easy access to the important archeological sites of Epidaurus and Mycenae as well as to beautiful beaches nearby.